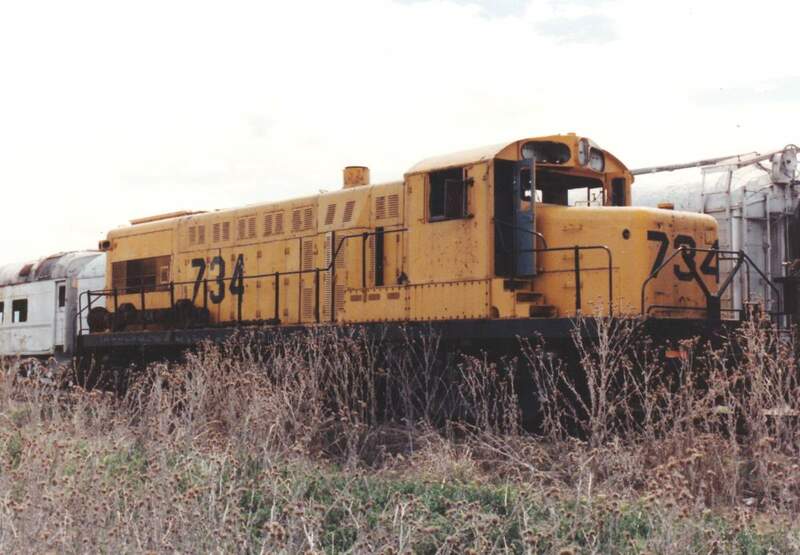 photo & text by: Barry Maxfield "Number 734 built new as Baldwin DRS6-4-1500 demonstrator 1501. 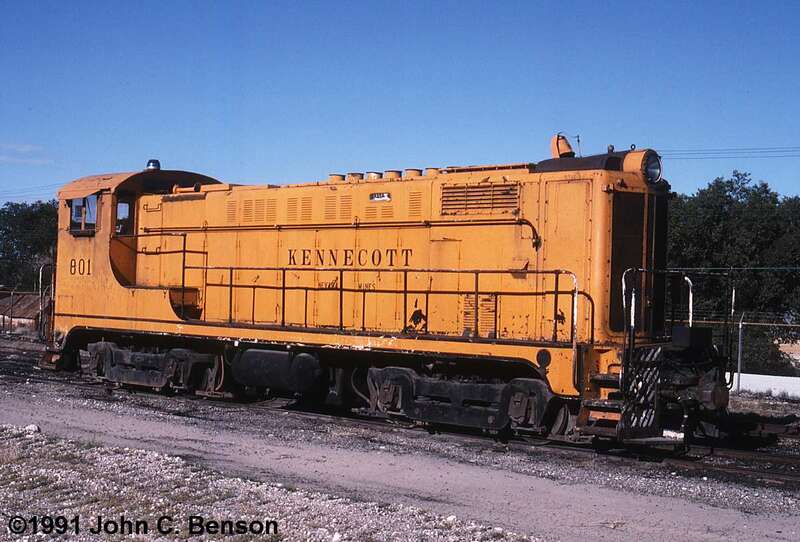 Sold to Kennecott as Number 901 in 1949. 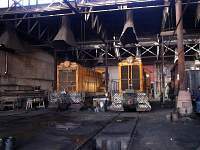 Wrecked in 1952, At that time it was changed from A-1-A trucks to B-B trucks during repairs. 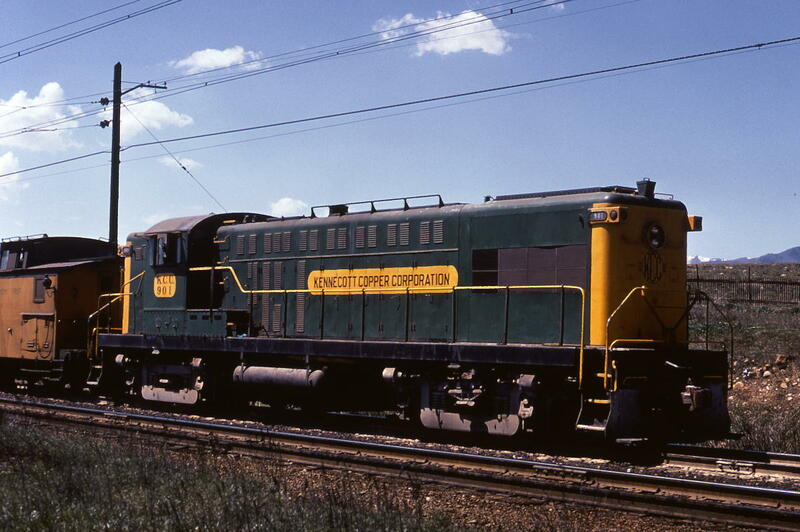 Short hood chopped in June 1972. 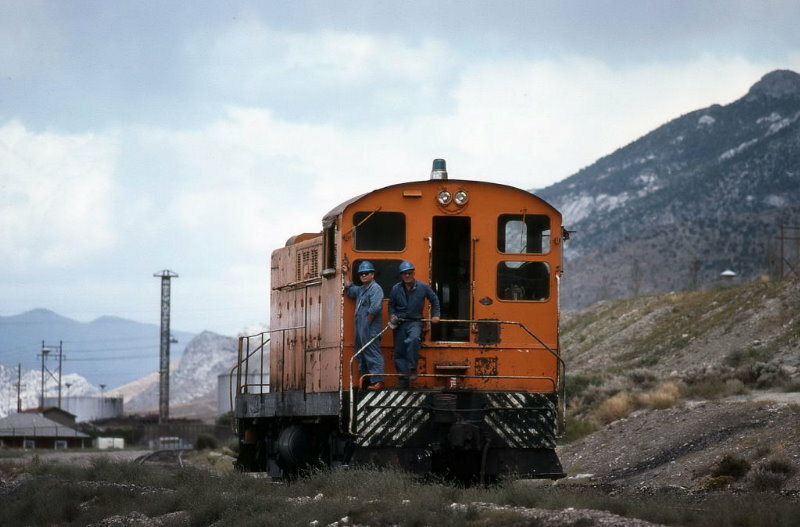 Number 901 was transferred to Bingham mine April 20, 1977. 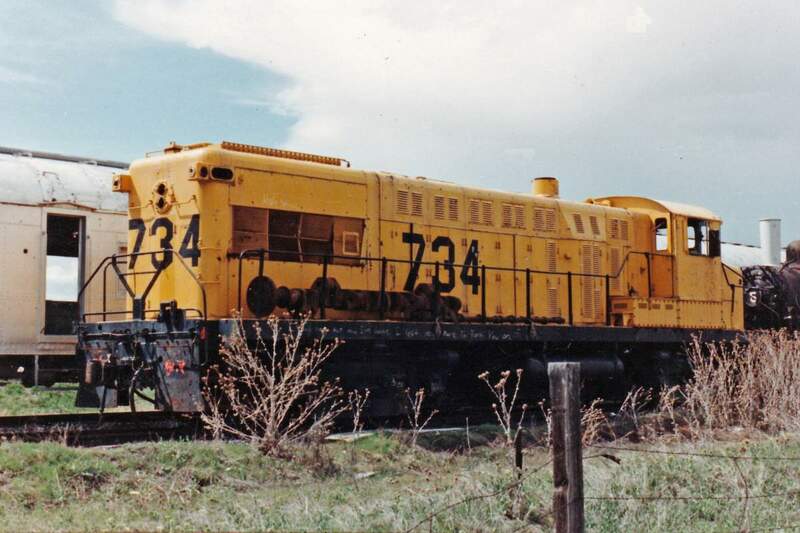 It was repainted yellow and renumbered to 734. 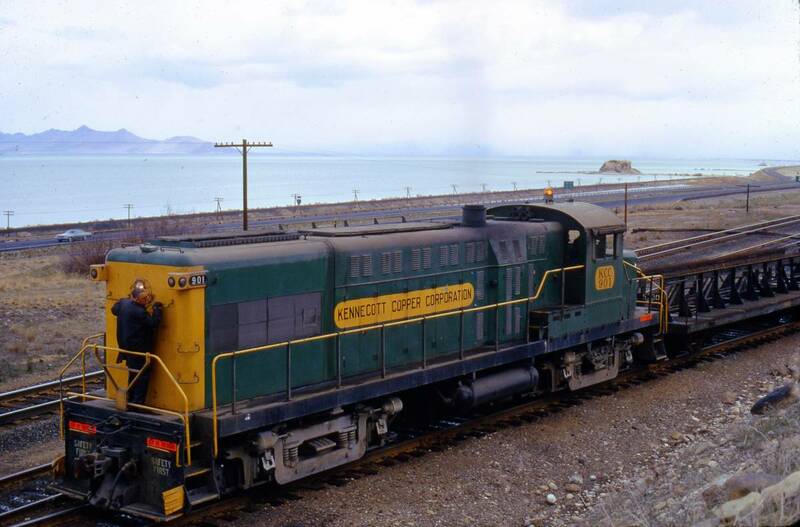 Retired 16 Aug 1982. Donated to NRHS-Promontory Chapter (Salt Lake City, Utah) on May 10, 1983. 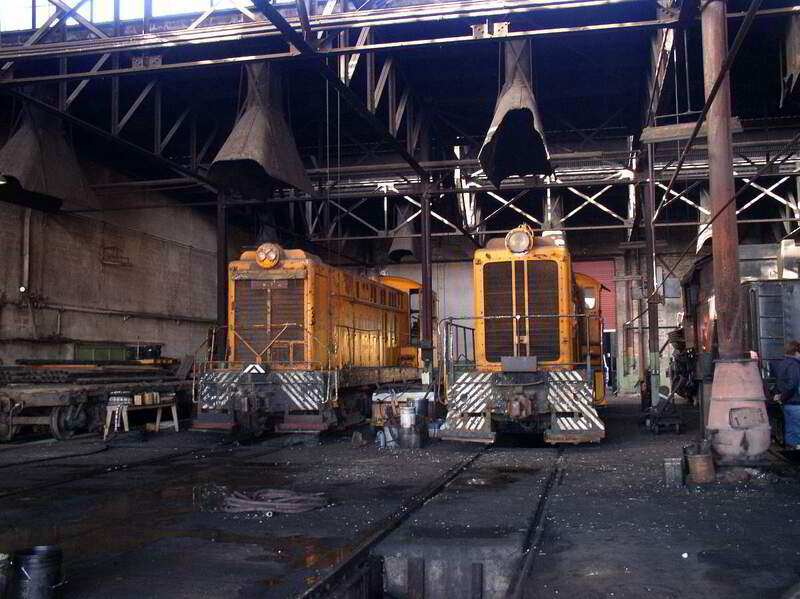 Traded to Industrial Salvage & Metals (Salt Lake City, Utah), Who in turn traded a former Utah Railway RSD-5 for two (The Baldwin 734 and an Alco) former Kennecott Locomotives." 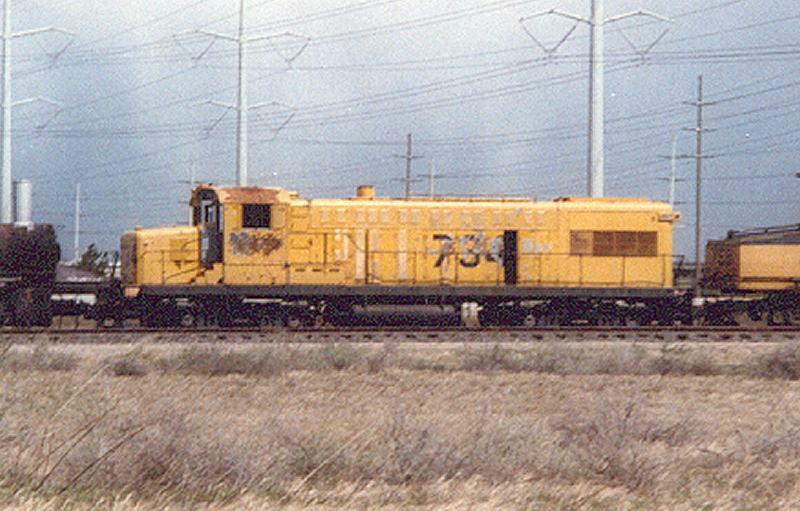 Salt Lake City, UT - April 1986 "I shot these while it was owned by the local RHS chapter and stored on a spur (probably on the SLG&W line) out near the SLC airport."